1) Overt Friendships are friendships between non-related people that are characterized by positive interactions. 2) Covert Friendships also involve non-related people who genuinely care about each other, but to outsiders, the interactions between the two do not appear friendly because the characters consistently tease each other, compete with each other, or in some other way act unkindly to each other. Parents have a unique and critical responsibility. According to Proverbs 22:6, parents must "Train up a child in the way he should go, and when he is old, he will not depart from it." Ephesians 6:4 says, "And you fathers, do not provoke your children to wrath, but bring them up in the nurture and admonition of the Lord." Likewise, children also have the responsibility to respect their parents. Ephesians 6:1-2a says "Children, obey your parents in the Lord for this is right, honor your father and mother..." As you can see, parents are very important. Sadly, as flawed human beings, parents sometimes fail, leaving behind broken and hurting children. we suffer with Him, that we may also be glorified together." Because parents are so important, they should never be forgotten in fiction. They are responsible for their children's formative years, which will affect the children for the rest of their lives. Loving, devoted parents will prepare their children for the future. 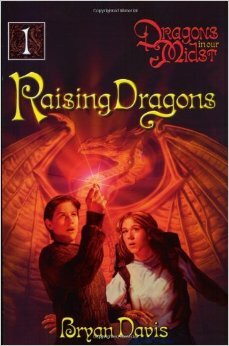 In Bryan Davis' Raising Dragons, Jared Bannister and his wife Marilyn raise their son Billy to be a God-fearing, honorable teenager. When Billy began to discover his special powers and the secret behind his genetics, his parents supported him and taught him everything he needed to know. Billy respected their wisdom, and they proved they were more than worthy of it. The strong, steady relationship between Billy and his parents was an important part of the Dragonsin our Midst series. However, in contrast, Bonnie Silver/Connor suffered much at the hands of her father. Her mother, Irene, was a devout Christian and loving parent who helped Bonnie hide the "deformity" that distinguished her from everyone else. Irene's husband, Dr. Connor, discovered Irene's true identity, and soon he became preoccupied with testing his wife and child to discover the hidden dragon genes. Bonnie grew up as her father's lab rat, and her only solace was her mother. But when Irene was murdered, Bonnie ran away from home. She spent the rest of her childhood moving from foster home to foster home, until she met Billy, and was later reunited with her father. The emotional scars he left changed her, and it took many years for her to recover. If you would like to read more about our families, Laura wrote about the miracle of her dad's heart, and her loving family. Liz shared the story of how her parents met, and also told an uplifting story of the struggles her mother has gone through for the sake of her family. Good parents are a true blessing. If your parents love you and look out for your best interests, be sure to let them know how much they mean to you. If your parents have failed you in some way, remember: God is the Heavenly Father who loves you more than any person ever could. He is the only one you really need. Find refuge in Him, and He will make you whole. What are some of your favorite parent-child relationships in fiction? How have your parents made you who you are? If you are a writer, how have your main character's parents affected him or her, and what is their friendship like? Let us know in the comments! Thanks, Hannah! I am enjoying this series! I think my favorite fictional family is the Austins, in Madeleine L'Engle's books, Meet the Austins, The Moon By Night, etc. . .. I love the way they interact with each other. . . parents and siblings, both. The parents were kind and trusting of their kids, but not afraid to give them guidance as well. I hope I am that kind of mom! I am glad you are enjoying this series! Madeleine L'Engle wrote A Wrinkle in Time, didn't she? If so, I also like the way she handles family. Thanks for the comment! Great post, Hannah! My view of the parent-child relationship has changed so much now that I'm a parent myself - let me tell you, it's harder than it looks! In my WIP, my protagonist has a loving relationship with her ma, though she keeps some significant secrets from her, and she doesn't know anything about her dad at the beginning but comes to learn more about him over the course of the story. I'm sure it has changed! I am not a mom yet, so I can't speak from that perspective, but I am sure it is no easy task. It sounds like you have made parents an important part of your story! 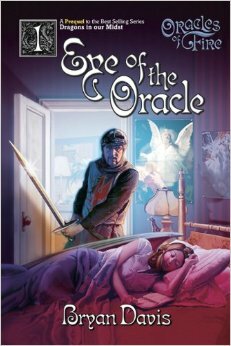 Some of my favorite parent-child relationships are in Adam Gidwitz's A Tale Dark and Grimm series. In these books, although the parents are flawed and sometimes make bad decisions, in the end, they still love their children dearly. Thank you so much! It sounds like they handled their characters well. I am a strong believer that parents shape our lives the most. I prefer books whose strongest character is a mysterious matriarch! They are not only strong in their family influence but are also often under appreciated until their children become parents themselves! Books I enjoyed as a youth include the Little Women series. Thanks for your insight, Hannah!